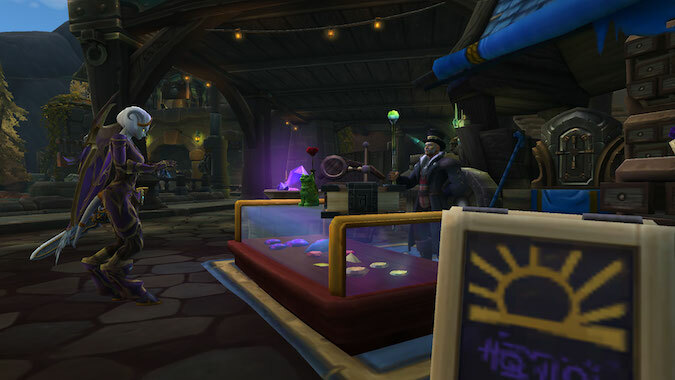 It was announced at BlizzCon that World of Warcraft‘s professions would see new quest lines which lead to a new item with a special ability. 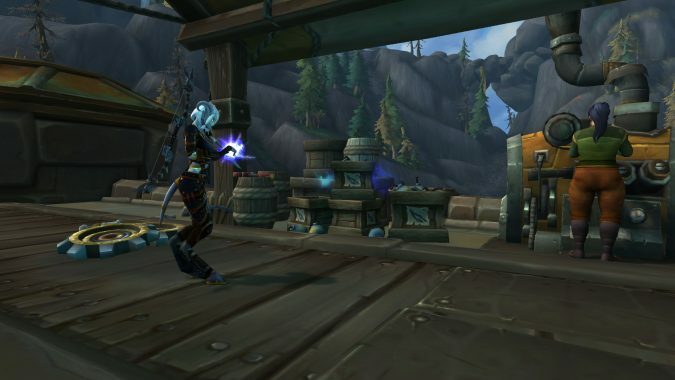 With the arrival of patch 8.1.5, those items — but not the attendant quest lines — have been datamined by Wowhead, so we have a taste of things to come. You get a boost! And you get a boost! Everybody gets a boost! The boost to each profession allows the creation of something which directly benefits the crafter. These can provide extra materials, fix items, and heal. No doubt these will become handy in whatever raid and world encounters we will experience going forward. Below is a list of the items coming to each profession with what they will be able to do. Silas’ Sphere of Transmutation. 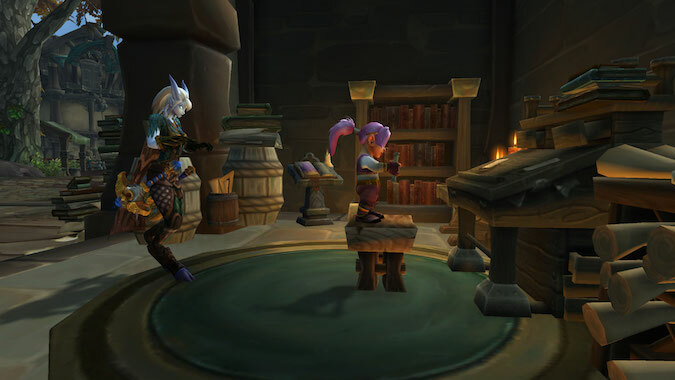 This item will allow an alchemist to see and use cauldrons in Kul Tiras and Zandalar. If you concentrate on the sphere, you’ll be able to transmute it to another item for one hour. No word on the restrictions of what the transmutation can be. It requires a lot of herbs and Tidalcores, but speaking as an Alchemist, I’ll finally have a use for all the Expulsom I’ve stockpiled. No word on the quest chain to obtain the recipe. Khaz’gorian Hammer. This hammer can be used in place of a regular Blacksmithing hammer. Its one hour cooldown will allow a blacksmith to repair a piece of gear instantly. No word on whether this is without the cost associated with repairs. When you craft an item, there is a chance it will come out “indestructible.” The quest chain for this appears to reference Therazane, the Stonemother, located in Deepholm. Iwen’s Enchanting Rod. This item allows more materials to come from Disenchanting. The rod can be used in place of any other enchanting rod. You can also use one Veiled Crystal to construct a golem — either a Tide Watcher for the Alliance or a Voodoo Mask for the Horde. These golems appear to be protectors of their creators. No word on the quest line to get this item. The Ub3r-Spanner. Using the spanner summons a Ub3r-construct to assist you for 20 seconds. If a particular construct is not specified, a random one arrives. Constructs available are a target dummy, boom bots, or an Ub3r S3ntry, which is a mechanical dog. You’ll need platinum and Storm Silver Ore, wiring, Expulsom, and Hydrocores. The quest line for this item appears to involve the Venture Company and a malfunctioning Ub3r S3ntry, which seems apropos. Sanguine Feather Quill of Lana’thel. Inscription has seemed — in recent expansions — like a good idea that Blizzard just doesn’t know what to do with. While this item won’t make the profession the best, it likely will give scribes a feeling of usefulness. The quill siphons blood from the dead around you, healing you in the process. It also allows for the creation of Blood Contracts. Learning to create each contract seems to require a separate quest line. What the contracts actually do isn’t known but they may — like Vantus Runes — help in downing bosses in upcoming raids. The quest line to obtain the quill hasn’t been announced but it’s likely tied to the Prison of Ink scenario. Jewelhammer’s Focus. This item allows the removal of gems from gear. It appears to only work on the Jewelcrafter’s gear but this will be useful in changing gems on the fly. The extracted gem appears to come out intact, which is another bonus. The focus will also allow a jewelcrafter to interact with shrines around Kul’Tiras and Zandalar creating geodes which then contain gems. No word on the quest line to obtain this item. Mallet of Thunderous Skins. Leatherworkers get another profession-specific mount but, unlike the Elderhorn Riding Harness, this one can only be used in Kul Tiras and Zandalar. You’ll be able to interact with drums in both zones which provide you with a buff for an hour. No word on the quest line to obtain this item. Synchronos Thread. This item is quite curious. Synchronos Tailors can mend the fabric of time. Cloth from the past, present, and future is mended. What this means for the timeline is unknown. You will be helping Timeweaver Delitha through her various timeways. How this works is unknown at this time. Whose timeline are we repairing? What are the implications of messing around with the timeline? What does Chromie think of this? Those are the new specialty items coming with the patch. We will know more about the quest lines when the patch drops. I’m wondering whether Silas’ Sphere will let me see cauldrons just randomly out in the world or — if someone not in my raid group drops a cauldron outside a raid — will I be able to use their cauldron. Will this add or take away charges from someone else’s cauldron? Professions can always use some love. Let’s see how these will help us as we work through the Battle for Azeroth.